LA PAZ, Bolivia (AP) -- School notebooks, a boy’s sandals and T-shirts given to him by famous soccer players are among the objects displayed at a $7 million museum inaugurated by Bolivian President Evo Morales. It’s in his native village of Orinoca, high in the country’s altiplano, and is called the Museum of the Democratic and Cultural Revolution. 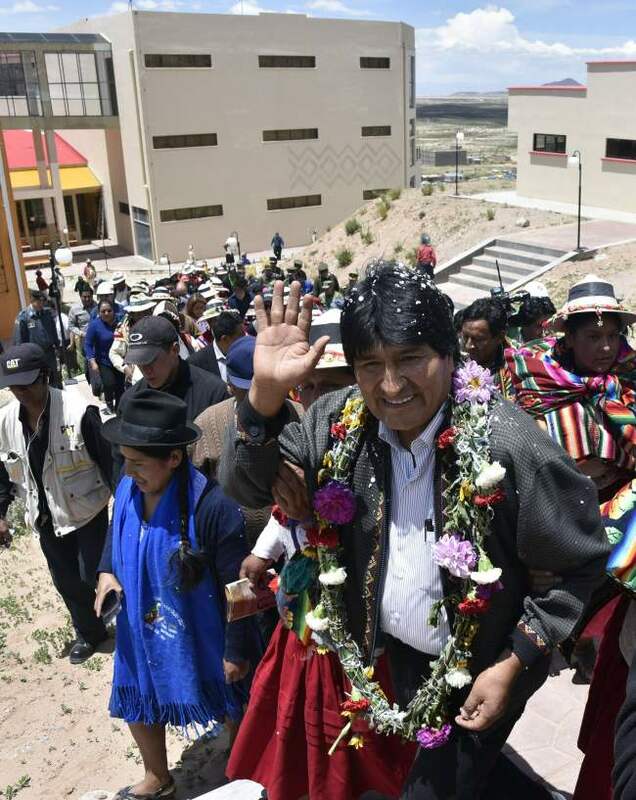 But Bolivia’s political opposition has dubbed it the “Evo Museum” and is questioning its cost and ostentatiousness standing near humble homes in a rural area plagued by deep poverty. The museum’s three wings have interactive rooms and digital exhibits detailing the struggles of Bolivia’s peoples throughout history. But the center of attention is the space with personal objects and exhibits devoted to Morales, Bolivia’s long-serving leftist president and its first leader to come from an indigenous group. Portraits, busts of Morales carved in stone, honorary doctorates from universities, photos of him with world leaders, soccer trophies and the trumpet he played as a youth are accompanied by interactive screens featuring his world tours and speeches at international forums. An emotional Morales shed tears at Thursday’s inauguration ceremony, which featured Andean music and folkloric dancing. He recalled his childhood in Orinoca, a village of 700 inhabitants, 90 percent of whom live in poverty. “This date will mark history. This museum is the patrimony of all who struggled for the liberation of our people,” Morales said. Vice President Alvaro Garcia called those who criticize the museum “racist” and “agents of the empire” -- a sometime reference to the United States. Morales has been president for 11 years. He presided over an economic boom fueled by high prices for the country’s minerals and natural gas, but his popularity has fallen recently amid corruption scandals, a deteriorating economy and his efforts to run again despite losing a referendum on allowing him to seek a fourth term.